The brand new Derek DVD and Blu Ray are out now in the UK and include the pilot episode, the making of, all 6 episodes from series one and loads of outtakes! 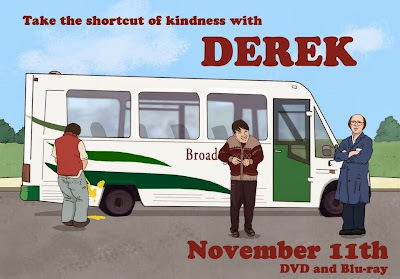 The DVD is already out in Australia and the UK fans have been waiting patiently since March when the first series ended on our TV screens. To commemorate the release, we worked together with @GervaisFanArt, @Gervaisaholics and Ricky Gervais to give away prizes to three lucky fans! 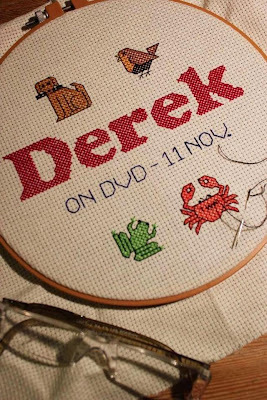 All they had to do was design an advert for the UK Derek DVD/Blu Ray release! Fans could enter a poster or a YouTube video and all the amazing entrants can be seen on the Gervais Fan Art website. 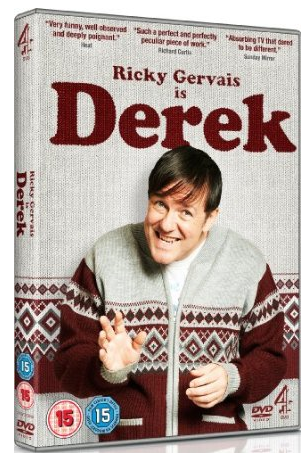 The three chosen winners would each receive the Derek DVD and an exclusive poster, both of which were signed by the entire cast!